The Youth Camp and Exchange Program (YCE) was created in 1961 and brings the ideal of global citizenship to life. Each year this program gives thousands of young people all over the world the opportunity to experience life in other cultures and gain new understanding of the world through travel abroad. Unlike some youth exchange programs, YCE does not involve academic study or employment. Instead, participants are encouraged to use this travel opportunity to represent their home countries and share their own culture while learning about and embracing a new one, forging the way to becoming young ambassadors for peace and international understanding. YCE is composed of various Lions Youth Exchanges and/or Lions Youth Camps arranged by Lions clubs around the world. A Lions Youth Exchange lasts between three and six weeks. It can be only host family stay in countries without camps. Lions Youth Camps are one to two weeks long and usually include a host family stay before and/or after the camp. Activities for both exchanges and camps can include visits to places of cultural or natural interest, sporting events, country presentations by participants, guided discussion and even engagement in local service projects alongside Lions club members. YCE Chairpersons are Lions club members that have been appointed to run the various regional YCE programs throughout the world and are dedicated to making the program a success. 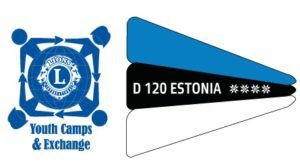 The contact information for these individuals, camp and exchange opportunities is listed in the YCE Directory. In Europa Forum meets YCE Chairpersons from European countries and always we have guests from all over the World! In few last Forum participated in our meetings YCE Chairpersons from Australia, Brasilia, India, Japan, Mexico and USA. YCE Chairperson acknowledge, that this Lion will perform the responsibilities necessary for the role of the best of their abilities and will follow all LCI board approved YCE policies and guidelines.